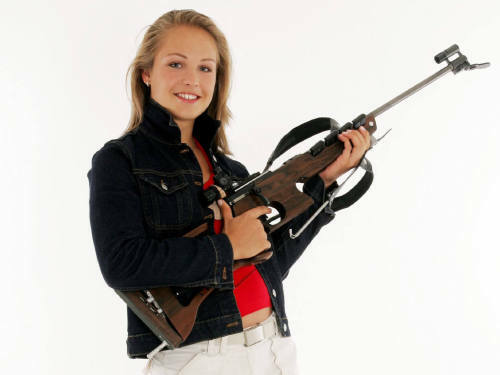 .. for the current "dreamgirl of the month" - the current single of Northern Lite "Girl With A Gun". ... right now it's killing time! I saw two mentionable videos on "Rockzone" yesterday. 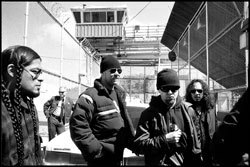 One was the video to Bullet For My Valentine's "Scream Aim Fire" and the other one the best Metallica video in my opinion to "St. Anger"! 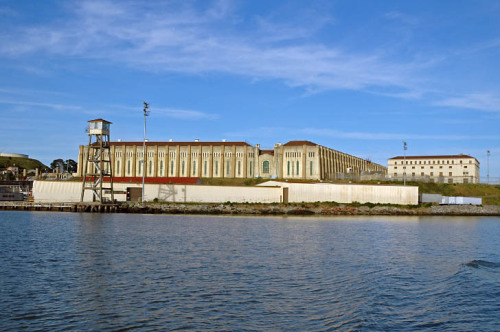 How cool is it to shot a video in San Quentin, boy! Peel the onion, the garlic and the ginger. Chop them up along with the chili abrasively. Heat a high pan with a solid bottom. Put some olive oil in the pan and sweat the chopped onion, garlic, ginger and chili with tomato purree and either koriander or curry (depends on your taste). When the ingredients get colour, give chopped up mellow tomatoes to them. Let it cook until the tomatoes are smooth. Add the can of tomatoes and let it cook for a while. Stir it from time to time. Now it's season to taste with salt and papper. When the sauce has a good concistency strain it through a filter. This sauce is well to use it for a casserole or pizza... try it!!! Do I have to say more?! I will attend the Baden-Württemberg-derby VfB Stuttgart v Karlsruher SC tomorrow. Let's hope it will be a furious derby and not a lame match. The demos are no longer at their MySpace-site. There are now snippets from the new album on, including "The Most Evil Spell" - the new single! New category on this site! 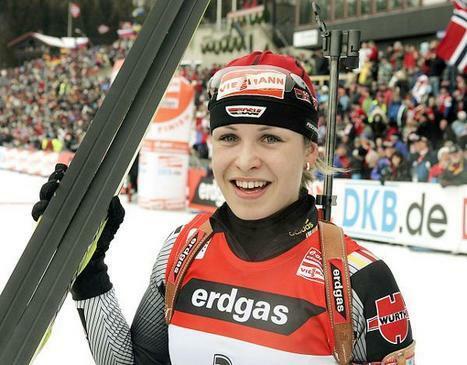 The first one to be honoured here is the greatest smile of the winter - Magdalena Neuner! Very easy and a cool aperitif! Boil the water in a kettle and stir it into the sugar. Let the syrup cool down. 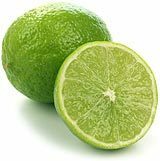 Squeeze the limes, roll them before, you will get more juice out. Take a large jar and fill the cold syrup in it. Filter the lime juice into the syrup and fill the jar up with the mineral water. After that poor performance in the FA Cup last saturday the team bounced back against Inter. To be honest, I'm very pleased to see Inter lose because their football is horrible to watch and I'm even more pleased that they lost against the red side! Very good show with an enthusiastic band! The setlist showed a few surprises and not so much from the self-titled album (unfortunately, but it's difficult to select from ten albums). I enjoyed it and hope it will last not long to see them again. ... since my last entry. But nothing mentionable happened in the last few weeks. It seems to be the same all day - go to work, go to training, play some poker, cook something, go out but nothing exciting. Anyway, there are some exciting things to wait for. 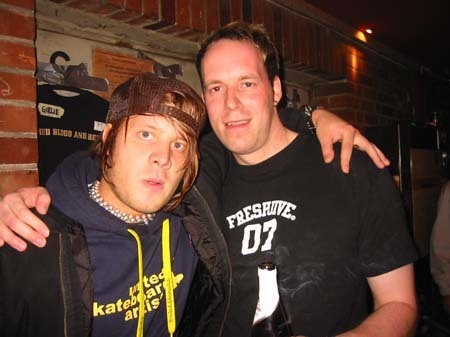 My favourite band Emil Bulls will release their new record in April. 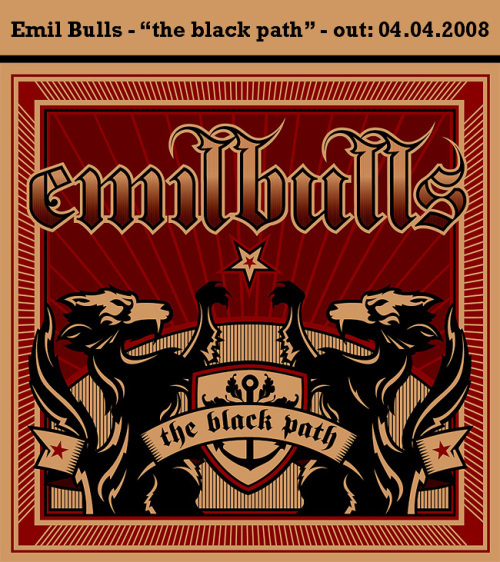 Check out some demos on www.myspace.com/emilbulls! And next week, guys! Paradise Lost will be in Stuttgart for a show. I'm looking forward to see them! I've been on eight or so shows of them and it was always really cool, except one time as they were supporting the Sisters Of Mercy. But who cares? The last show I saw in 2005 was a blast, anyway!